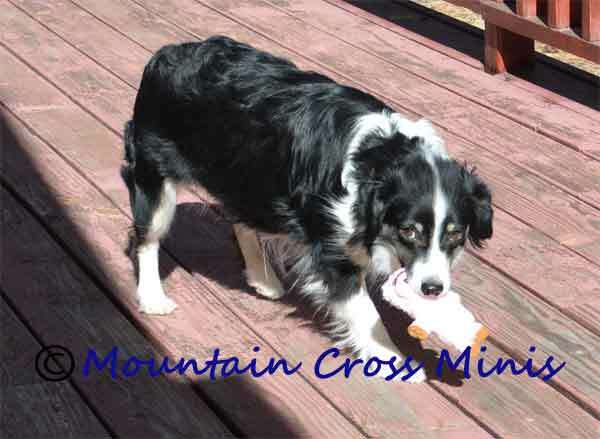 Miniature American Shepherds are, in essence, Miniature Australian Shepherds that are registered with AKC and/or UKC: thus the only difference is the registry. Regardless of what some people will tell you both registries have dogs from the same bloodlines and are true mini aussies. Miniature American Shepherds are versatile, smart, loyal companions. For the buyer this means they must be heavily socialized and trained in order to provide a well rounded dog. Otherwise, they have a tendency to control you. Miniature American Shepherds are a herding breed and will want to herd EVERYTHING that comes their way. 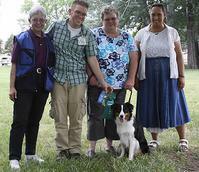 Buyers must be willing to provide proper training to direct that herding instinct in a positive manner. Once you buy one you will most likely want another. Miniature American Shepherds come with many different personalities and can be quite amusing at times. They also have a tendency to bark at unknown stimuli unless taught not to do so. 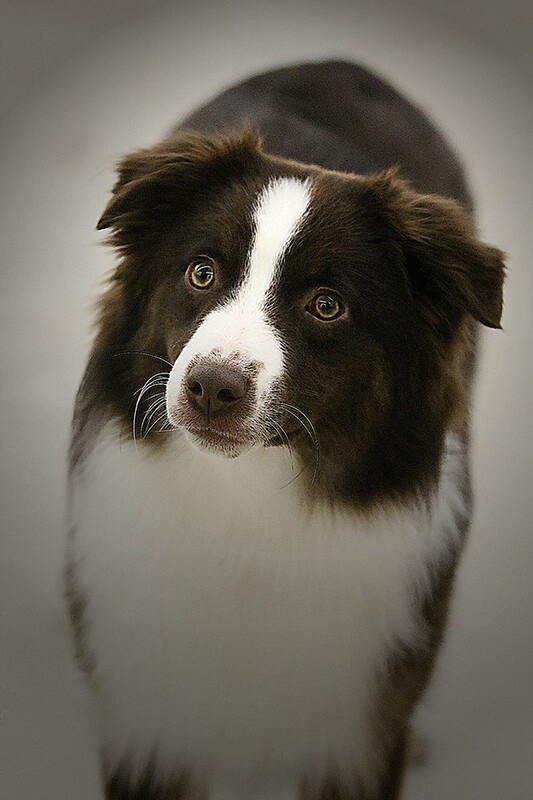 Miniature American Shepherds can learn many different tasks including, but not limited to, the following: Agility, Barn Hunt, Herding, Therapy Dog, Service Dog, Lure Coursing, Flyball, Obedience, Rally and so much more! Their intelligence and willingness to please makes them easy to train for just about anything. They can get super bored and in order to keep destructive behaviors to a minimum they must have positive and frequent training. They usually require a moderate amount of activity and are well suited for apartment life as long as they have daily exercise. Miniature American Shepherds usually live 12-14 years but can sometimes live longer. This means many years of commitment by our buyers to love and care for them as family members. They will give everything back that they receive from their owners- all the love and attention they deserve. We are committed to supporting our buyers with training tips and life time relationships. If there is a problem with your dog please do NOT hesitate to contact us! Our dogs should not have to be put in a shelter- if you can't keep them for some reason we will find a forever home for them. You have a Miniature American Shepherd- a breed that is as old as the Australian Shepherd as they come from the same stock. That makes our breed realistically around 56 years old not over 100 like some suggest. 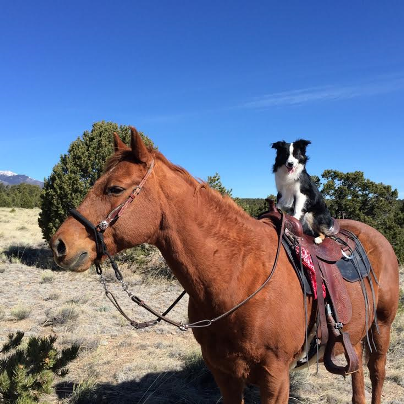 You can feel proud to own a breed that is among a few of the only herding stock dogs originally and truly bred in America (with the Australian Shepherd bloodlines much to the chagrin of some people.) It is a versatile breed; it is a wonderful breed. You have a breed that is bred to be able to herd a huge flock of sheep with a couple of friends and only one human shepherd. You are an owner of one or more Miniature American Shepherds. You have a breed that is bred to herd many different types of stock (and yes, even cattle) while thinking individually about each type of stock that is brought before them with finesse, courage, tenacity, intelligence and adjustability. Your breed of dog can watch the stock/flock/herd/pack etc... while keeping it's eye on you. Your breed is a guardian and a herding dog. Your breed is loved by ranchers and families alike because, no matter what the job, what the environment or where they live your breed can do it all. You have an Miniature American Shepherd. You have a breed that was known as early as 1860 for it's intelligence, gentleness, loyalty and uncompromising courage and strength in the face of danger. You have a breed that is bred to have little trouble continually moving from a comfortable lope to a stand still on command each and every day of the week- well, let's face it- ALL dogs need a breather every now and then. You have a breed that adjusts to all kinds of weather, and lives and works everywhere from sub zero temperatures to the hot desert plains. You have a breed that is known for incredible energy, loyalty, versatility, patience, and intelligence. Please take care of their needs. You have a breed that is so easy to love you are likely to have more than one. You have a breed that will take over your home even though you think you are doing everything right. You have a breed that that is more active than you but you don't care. You have a breed that you know isn't for everyone but you love them anyway. You laugh when your non Miniature American owners say they can take care of your dog for a little while and end up asking where you got yours. You have a valuable member of your family and nothing on earth can take his or her place in your life. You proudly have a Miniature American Shepherd.